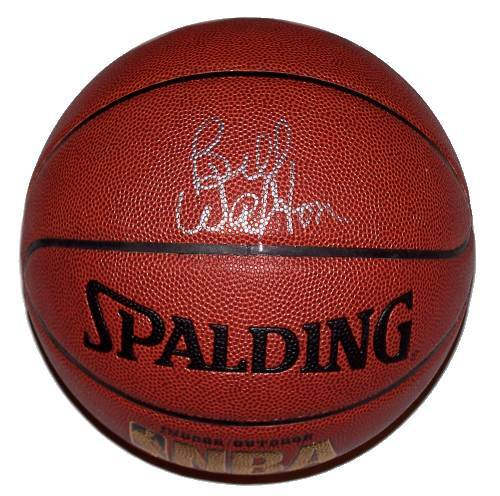 A Spalding NBA basketball signed by Bill Walton. Comes with a Certificate of Authenticity. Bill Walton III is a retired American basketball player and television sportscaster. 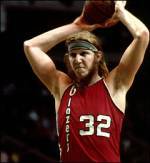 The "Big Red-Head", as he was called, achieved superstardom playing for John Wooden's powerhouse UCLA Bruins in the early '70s, winning three straight College Player of the Year Awards, while leading the Bruins to two Division I national titles. He then went on to have a prominent career in the NBA where he was a league MVP and won two NBA championships. His professional career was significantly hampered by multiple foot injuries. Walton was inducted into the Basketball Hall of Fame on May 10, 1993 and the Oregon Sports Hall of Fame that same year. He is the father of current Los Angeles Lakers forward Luke Walton. ~ Wikipedia.